The Maynooth Mission to China, later to become the Missionary Society of St Columban, was born from the vision of two young priests, Fr Edward Galvin and Fr John Blowick. 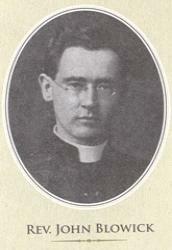 After being ordained in Ireland, Fr Galvin took up temporary duties in a parish in New York in 1910. He was due to return home but wanted to become a missionary. He met a priest about to return to his mission work in China, and decided to head for Shanghai. Despite the difficulties of language and social and political upheaval, Galvin saw that much might be done in China. He wrote to his friends in Ireland about the vision that was beginning to evolve within him. In 1916, Fr Galvin decided to return to Ireland to ask for help. While at home he met Fr John Blowick, a member of the Seminary staff, who showed interest in the idea of a mission to China. With other friends and supporters, these two men asked the Irish bishops to support the establishment of a Mission House or College to prepare priests for work in China. Once the request was approved Fr Galvin and Fr Blowick travelled the country raising support for the idea. In March 1917, the new society officially took the name of St Columban’s Foreign Mission Society in honour of Ireland’s greatest missionary, Saint Columban. A house and land were purchased and St Columban’s Seminary was established in January 1918. The first issue of The Far East Magazine, the society’s flagship magazine, was published in the same month. The Columbans went on to establish houses in the United States (Nebraska) in 1918 and Australia in 1920. 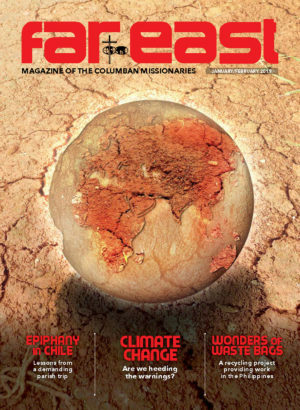 The first Columban missionaries arrived in China in 1920. The political turmoil in China at that time, with open hostility between the warlords and the Nationalist Party of Sun Yat-Sen, as well as the growing strength of the Communist Party, made life difficult for those early missionaries. Anti-foreign sentiments swept the country and priests and nuns were often abused and insulted when they appeared in public. Over the following years, China suffered many tragedies which the Columbans shared. Floods, famine, epidemics of cholera, typhoid and malaria, as well, war and persecution but this did not stop the work of the Columbans. The Columbans continued in their efforts for the Chinese people through the Japanese invasion, World War II and civil war. 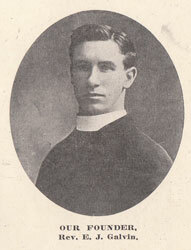 Fr Edward Galvin, then a Bishop, was dubbed the most bombed Bishop in the world. It was however, the rule of the Communist Party, which came to power in 1949, that spelled the end of the work of the Columbans in China. After a brief period of bitter persecution all missionaries were expelled. 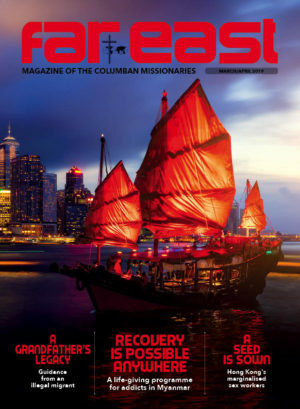 In the 1990s the Columbans returned to China and today, the worldwide leadership of the Missionary Society of St Columban is based in Hong Kong after the Superior General of the Columban Fathers and his Council transferred the Society’s headquarters from its traditional home in Ireland to China on May 1, 2008, becoming what is believed to be the first Western missionary congregation to locate its leadership team in Asia.